Compass Reports For ActionCompass Health reports are clear, easy to understand personal assessments of your unique health and predisposition traits. Share them with your healthcare or fitness professional. Learn, discuss, act. grab a glass of wine and discuss your similarities and differences. you'll be surprised. Entertaining and meaningful, these reports provide interesting insights and discussions with family, friends and others who share common interests. 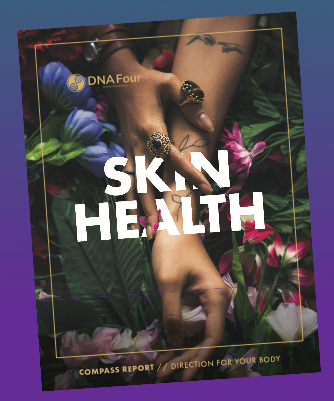 DNAFour provides personal genetics understanding and support for individualized health, fitness and wellness.